The temporary suspension of liquefied natural gas (LNG) sales by Azpetrol (the biggest operator of the network of filling stations in Azerbaijan) was related to depletion of LNG reserves in the company, Azpetrol told Trend July 19. Earlier it was reported that Azpetrol restored the sale of LNG. 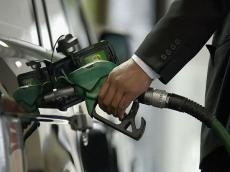 Azpetrol said that the company also plans to open new filling stations in Baku, Salyan, Kurdamir and Shamakhi cities, but didn’t disclose details. Azpetrol was established in 1997.